Bailey, an adorable Golden Retriever puppy, is moving! On the road trip to their new home, his family makes a stop and mistakenly leaves Bailey behind. This mischievous and playful pup sets out to find his family and stumbles across Sharkarosa, an exotic wildlife ranch. 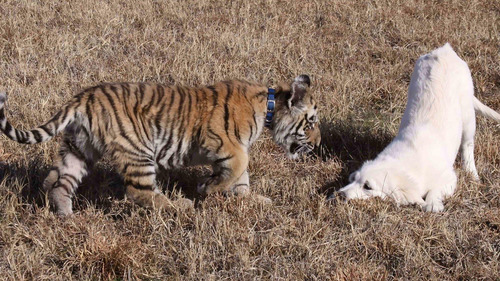 At the ranch, Bailey meets and is befriended by an assortment of animals, including kangaroos, camels, a bearcat, a baby tiger, and Puck, the sheepdog entrusted with running Sharkarosa. Will Bailey ever see his family again? Or will he be left to work at the ranch until the Cows Come Home?